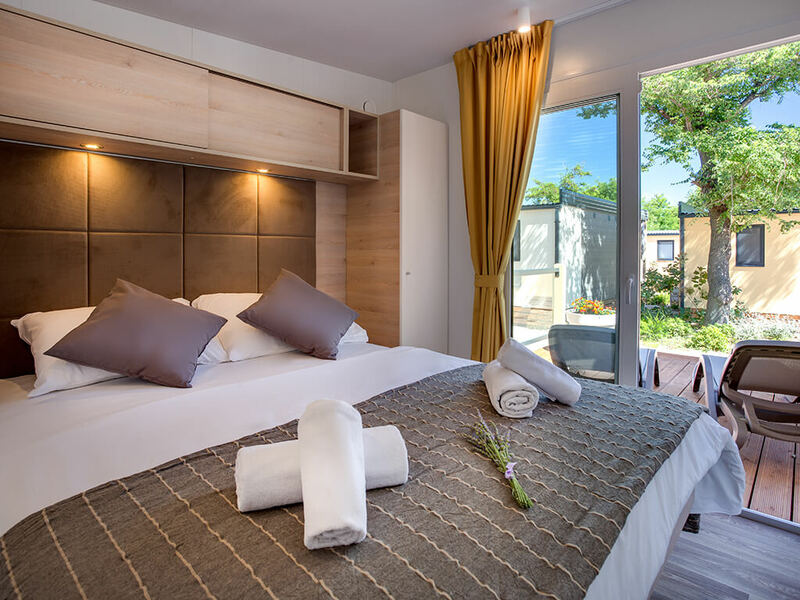 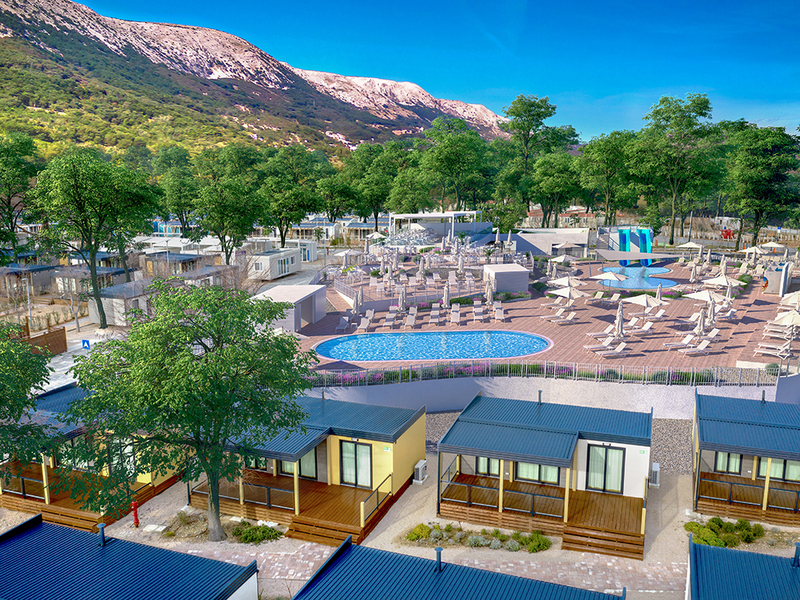 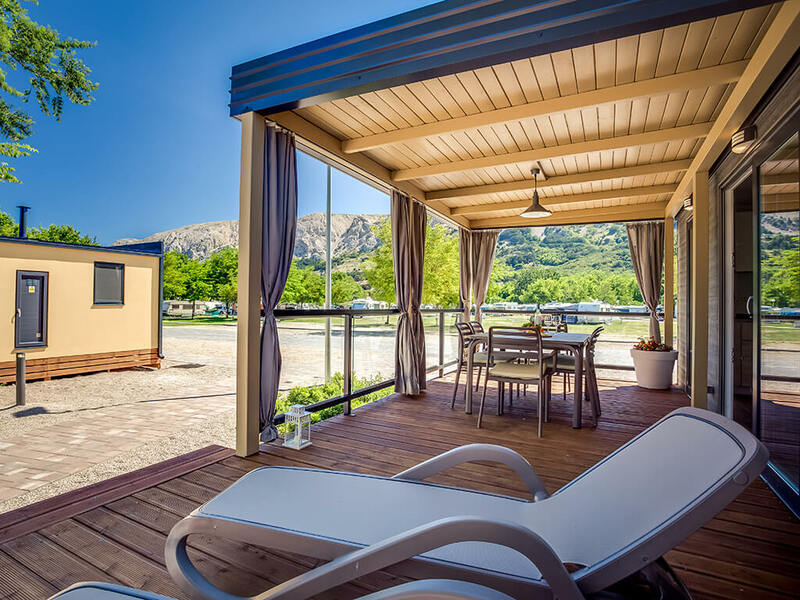 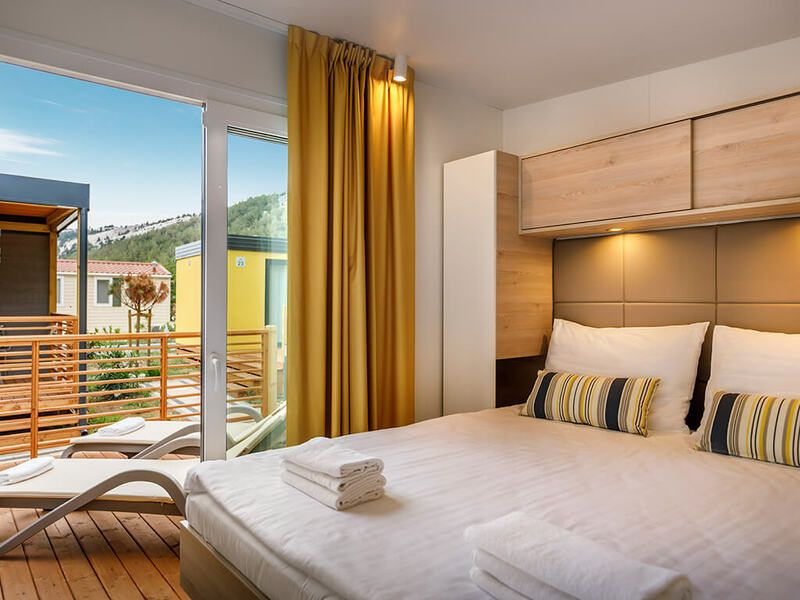 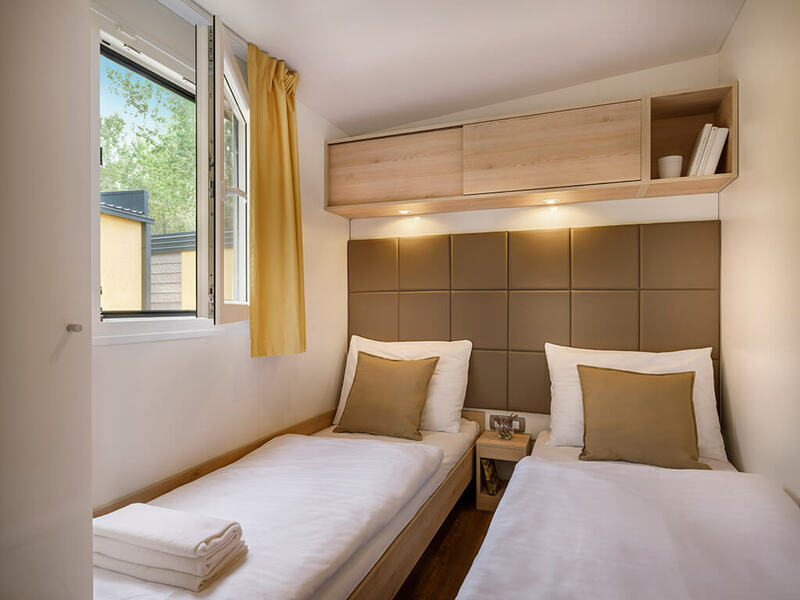 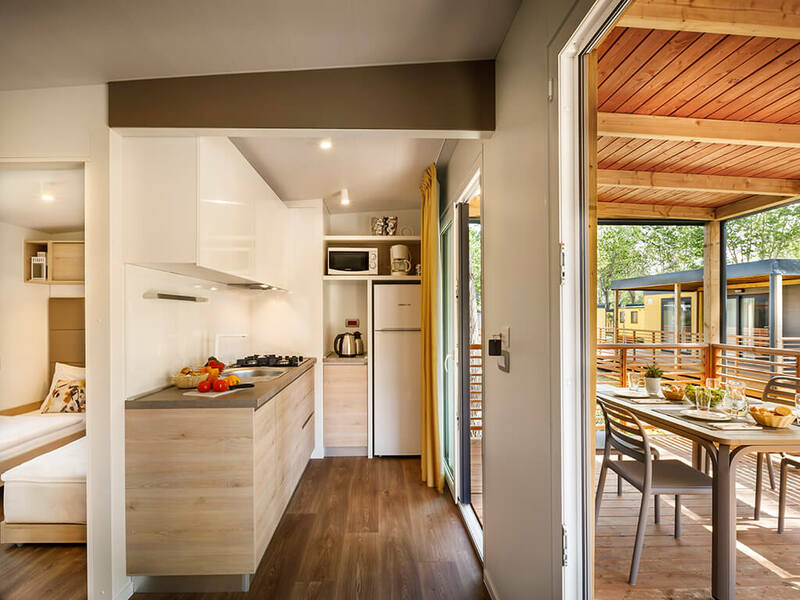 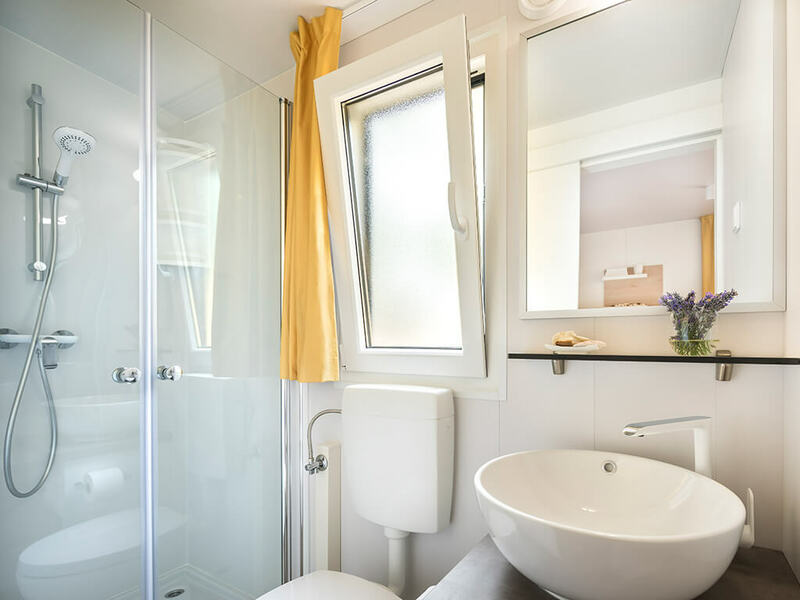 Situated in separated themed village in the quiet part of the campsite, mobile homes Vela Bay Premium provide the comfort and privacy you seek. 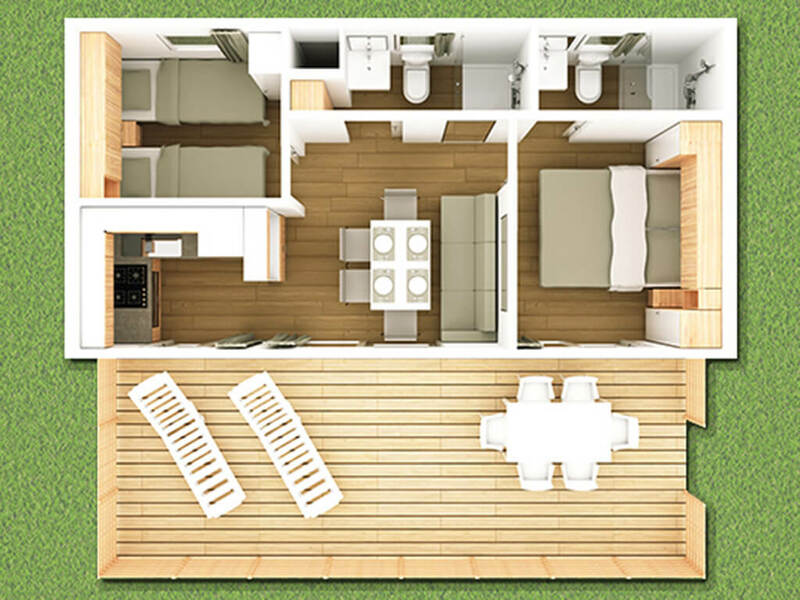 New from 2017 and fitted with modern equipment, they have 32 m2 in size, 2 bedrooms, 2 bathrooms, a kitchen, air conditioning and a WiFi connection. 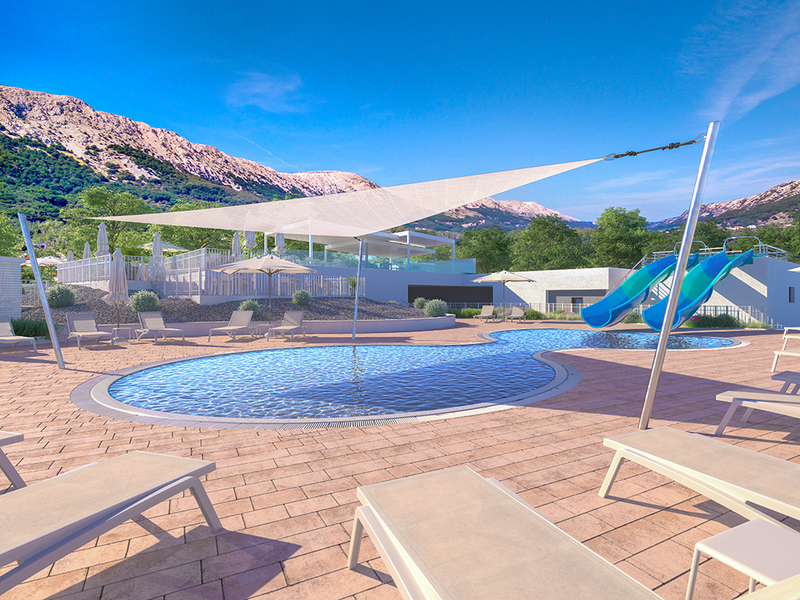 The spacious and covered terrace equipped with seating area, sunbeds and curtains will become your living room during your holiday. 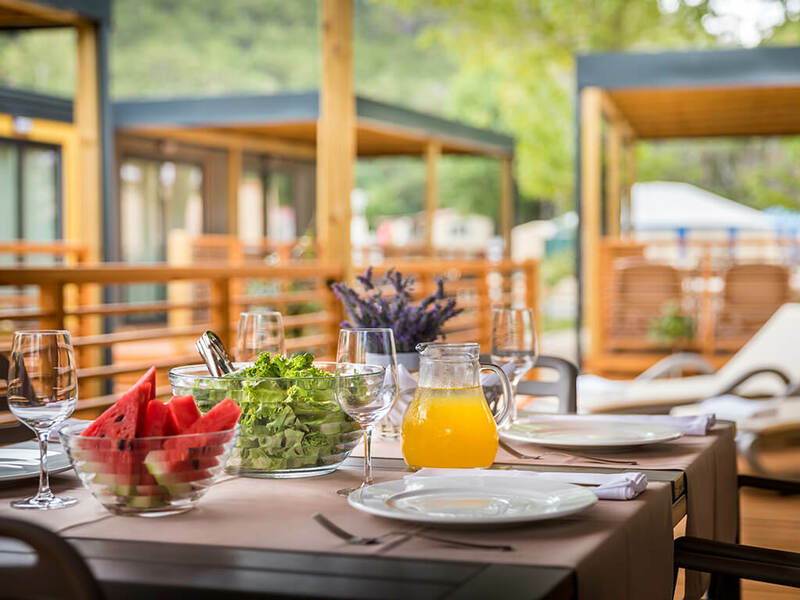 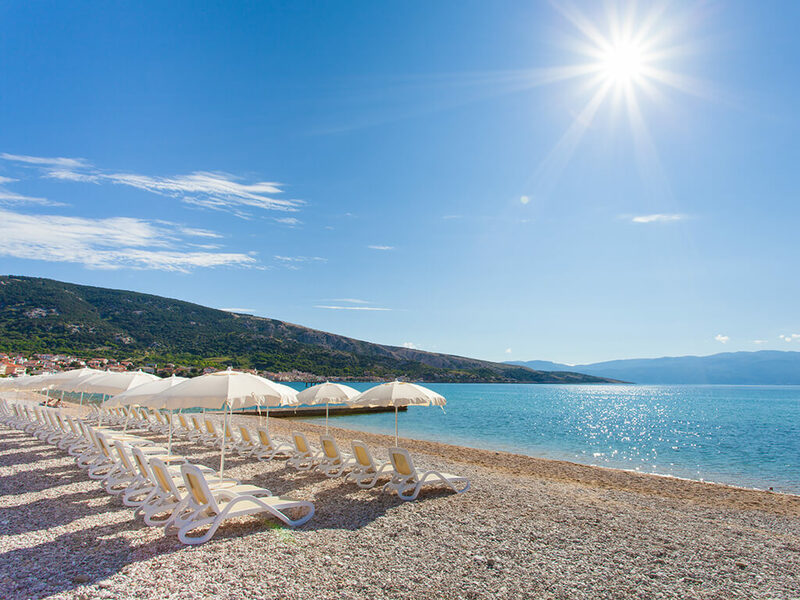 Vela Bay premium guests have at their disposal all campsite facilities – pebble beach, animation, grill areas, playground, restaurants and bars. 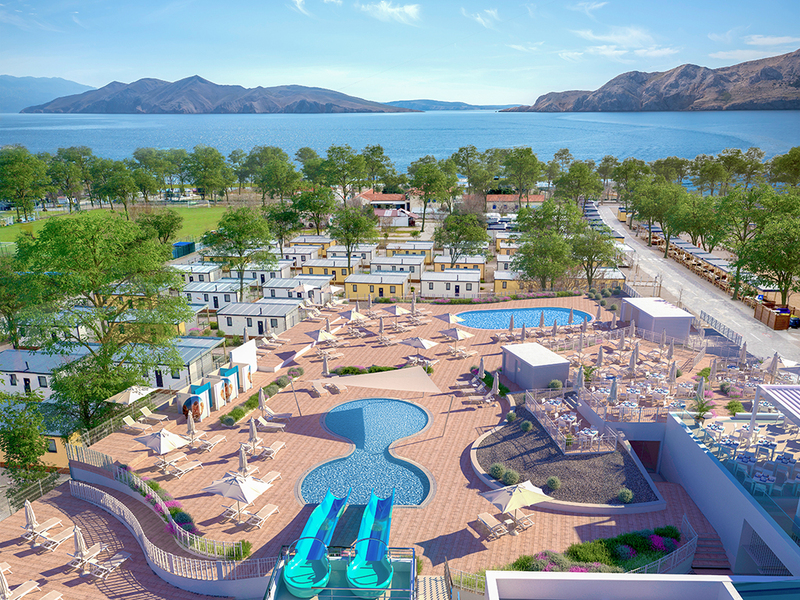 The first night’s stay will be charged upon confirmed reservation, with a valid credit card or through bank transfer. 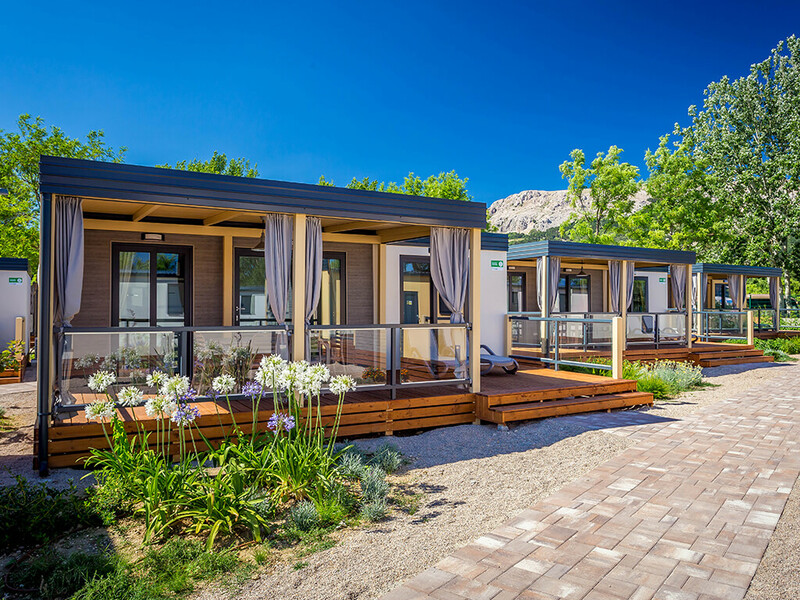 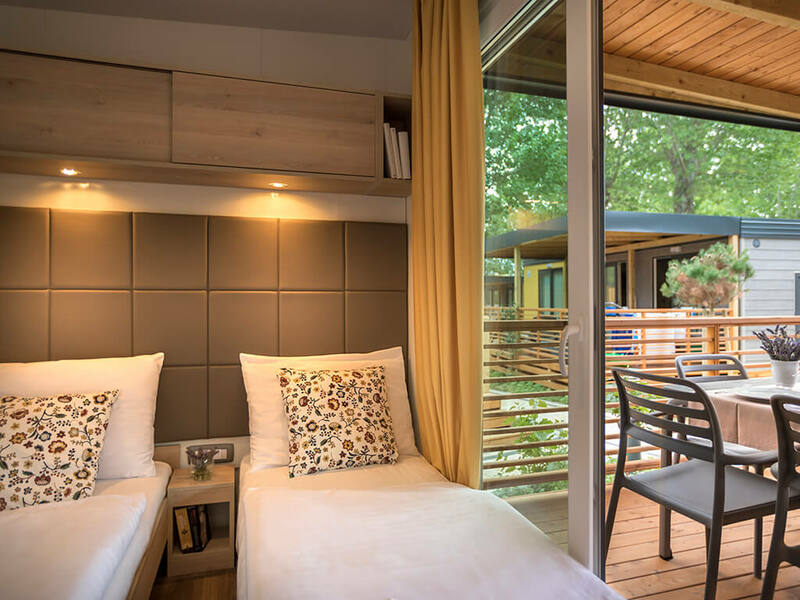 Interested in other mobile homes at the Campsite Zablaće? 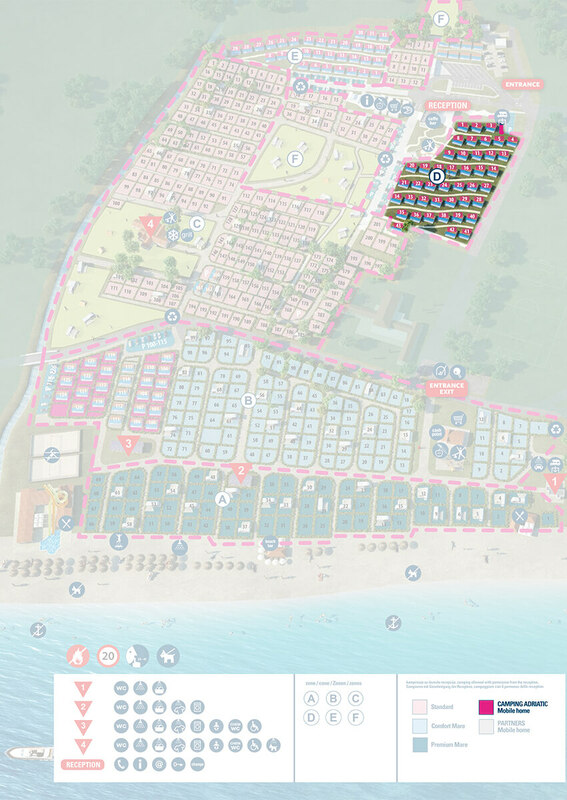 Check the list!